French women don't get fat…or do they? 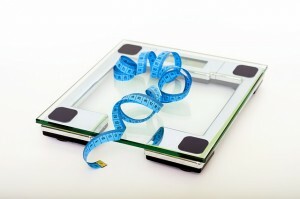 Home » Living in France » French women don’t get fat…or do they? Describe a typical French woman and you’ll probably come up with words such as chic, effortlessly stylish and above all, slim. Most recently, the British media has been wowed by France’s First Lady Brigitte Macron, who, at 64 and a grandmother of seven, is all those things in one package. Articles have been written praising her trendy style – all skinny jeans and above-the-knee dresses – her bouncy thick hair, her glowing skin and, of course, her slender physique. How does she do it? The Elysée Palace head chef Guillaume Gomez recently revealed that Mme Macron insists on having no fewer than ten portions of fruits and vegetables a day, some of which he adds to classic French dishes such as Blanquette de Veau. She also, however, enjoys her cheese and wine. This seems to epitomise French eating – to eat well and healthily and to have no qualms about indulging in the traditional no-no’s such as wine or cheese. According to Mireille Guiliano, author of the 2004 book French Women Don’t Get Fat, French women regularly enjoy three course meals with wine and champagne, having breakfasted on bread and patisseries. So how do the French make it look so easy, and where are we Brits going wrong? Guiliano admits that during a stint in America as a student, she piled on the pounds. On her return to Paris, she learnt some simple rules she’s adhered to ever since. They include spending forty-eight hours eating nothing but ‘Magical Leek Soup’ and swapping the pastries she’d become addicted to for baked apples sprinkled with sugar and cinnamon – essentially an apple tart without the pastry base. So small sacrifices can be made, it would seem, in what is essentially a healthy and enjoyable diet. As Guiliano puts it, French women eat smaller portions of more things, they eat with all five senses, and they balance their food, drink and movement on a week-by-week basis. But is that really it? Don’t the French have to suffer more to look so good? There’s plenty of anecdotal evidence that suggests they do, from the French diners who use cigarettes as a dessert substitute, to those who consider wine and nibbles during an apéro to be a complete meal. Some Parisian suppers are said to consist of steamed vegetables washed down with a cup of herbal tea. Good food has to be earned, the message seems to go. For every blow-out three course meal with cheese, there must be several evenings of abstinence. So balance and moderation are key. 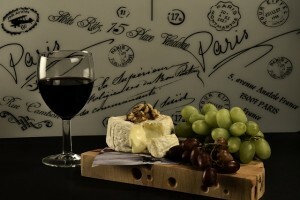 The French might enjoy their wine, but they rarely binge, restricting themselves to a glass or two with a meal. Anecdotal tales abound of Parisian dinner parties during which just one bottle of wine is shared between six – a practise unthinkable to us thirsty Brits. One habit that’s unthinkable to the French, however, is snacking. They still believe in spending up to two hours a day enjoying meals at a table, and children are brought up to eat the same food as their parents. 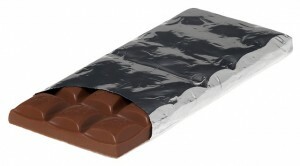 You’ll rarely see a French person munching a milky chocolate bar as they go about their day. As opposed to the UK, where creamy chocolate confections can be found in shops all over the high street, in France you hardly ever see them outside the aisle of a supermarket. It’s not just a case of out of sight, out of mind, however. Chocolate in France is to be enjoyed, in moderation, usually with a post-meal coffee, and it’s invariably of the dark variety, with a high percentage of cocoa. The creamy stuff is just for children. Going to the cinema in France is a revelation, too. Unlike many Brits who associate film-going with huge buckets of popcorn and fizzy drinks, the French tend to show both film-makers and their fellow film-goers respect by simply watching – no food involved, not even an ice-cream. It’s just not part of their culture. Yet despite all this moderation and abstinence, the French are undoubtedly getting bigger. A 2015 study found that nearly 41% of French women and just over 56% of French men were overweight or obese. Perhaps the rise of American-style junk food is behind the fuller figures? Amazingly, France is the second largest market for McDonald’s, which now has some 1,200 franchises throughout the country and is affectionately known as McDo. The secret of its success? Being open all day long, offering free Wifi access and charging the same amount for a McDonald’s meal as the average worker’s luncheon voucher, which is around eight euros. The produce is French and the meals themselves have been adapted to suit French tastes (McBaguette, anyone?). It’s little wonder the young, in particular, are keen. But are they getting bigger as a result? Thirty-seven year old author Gabrielle Deydier weighs 150kg, or 23½ stone. In her recent book, You’re Not Born Fat (not yet published in the UK) she claims that in France being fat is considered a self-inflicted disability. ‘French women pride themselves as being the most feminine in Europe,’ she says. ‘There is this feeling that women have to be perfect in every way.’ As a result of her own “imperfect” form, she has been told by complete strangers to cover up while wearing a swimsuit on the beach, and discriminated against at the school where she worked, with the headmaster claiming that the children she taught were being bullied for having a fat teacher. The French, far from keeping a discreet silence, are notoriously critical about such weighty matters, openly judging their friends and colleagues in the belief they are helping them. “Chic plus mince egale succès”, the saying goes. Chic plus slim equals success. Young adults complain of being advised by their own parents to skip dessert, or not to have a second portion, because their weight might actually have an impact upon their job prospects. Under such extraordinary pressure, is it any wonder that 80% of French women are said to be on a diet at any given time, believing they need to lose at least two kilos? In the south of the country, some 50,000 gastric-band operations are performed every year. The slimming business in France is huge, with pharmacies filled with miracle products, from creams and supplements to fat burners and appetite suppressants, and even a fragrance purported to have slimming ingredients. In 2013, the country was rocked by the revelation that a weight loss drug (never authorised in the UK) was responsible for the deaths of somewhere between 500 and 2000 people, leaving others with long term health issues. So what is going on in France? At worst, they seem to struggle with weight and self-esteem issues, at best they have an extremely sophisticated approach to food, refusing to snack, binge-drink or succumb to the pleasures of a sweet tooth. But with the rise of fast food restaurants and all the convenience they offer, can the slender, chic and stylish image of the French woman last for much longer? Mme Macron, as stunning as she is, may be among the last of her kind.